How to Harvest Lavender – Lavender is an herbal plant with a million benefits. This plant grows like a bush and continues to grow throughout the year. Harvesting lavender plant must be done properly so that the plant is not damaged and can continue to produce other stems. If it is true to treat and harvest it, this plant can live for several decades. 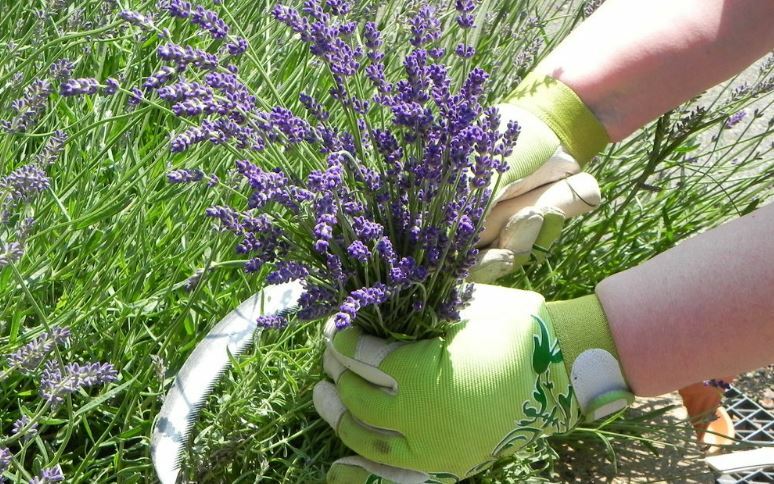 Lavender plant pruning and harvesting can stimulate the growth of new tanks and better flowers. In this article, I will share how to harvest lavender properly. If you have not know about how to Grow Lavender, you can see my article about that. I have written it on title how to grow lavender from seed. 1. Prune and harvest when its flower bloom. Harvesting and pruning are the same things in this plant. Harvesting is to cut the flowering stalk until the plant becomes neat. Cutting stalks of lavender stimulate the growth of new stems that are more productive. Usually, the lavender plants bloom in the spring, this is the time to harvest. So, pay attention to when it is spring, and do the harvest there. In addition, harvesting lavender plant in the spring season is also useful for increasing crop yields in the future. 2. After cutting lavender, collect with your hands up to one handle. The stem is very strong, you don’t need to worry about being damaged or tearing the stem. Harvesting in the first year usually only produces 1 to 2 stalks. In the third year, lavender reaches maturity where the yield can be 8 to 10 stalks/bushes. 3. Cut a lavender a few inches above the ground. Cutting lavender in the ground or just above the soil surface can cause stem death. So, cut the lavender about 2 inches above the ground. 4. Use sharp equipment when harvesting, harvesting knife is the best cutting tool. Cut all flowering stems until the rest looks like a neat mound. Harvesting on old plants can be done by cutting all stems. The right harvest time is on the morning after the dew dries on the stem, but before the sun is hot because this can remove a number of essential oils. 5. Cut the stem of lavender. Cut the lavender stems so that the flowers bloom. The first harvest in the first year is done at the beginning of the flower cycle. At this time, the bush continues to produce lots of flowers continuously. If you find dry twigs, cut and clean. 6. Remove the dead branch. So, pruning is not only to produce a lot of them but sometimes it needs to be done for maintenance.